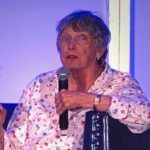 I recently had the opportunity to have lunch with Lois Lowry … along with 1,184 other participants in the 2018 Society for Children’s Book Writers and Illustrators (SCBWI) Summer Conference in Los Angeles. For me, it was the highlight of the conference. For this lunchtime conversation, the 81 year-old author was seated in an oversized easy chair set on the stage and interviewed by Lin Oliver, founder of SCBWI. Their discussion was broadcast on two gigantic screens and Lois’s face filled the banquet room. With her pale blue eyes, short-cropped white hair and intelligent, no-nonsense demeanor, she commanded that attention of everyone in the room. Over mass-produced conference salads at large round tables, the experience was surprisingly intimate. Lois, of course, is the beloved children’s book author of over 40 books, who won the coveted Newbery Award for Children’s Literature … twice! Those two books were ground-breaking and changed the landscape of children’s literature forever. 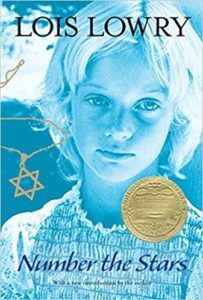 Number the Stars(1990) was one of the first novels for children about the Holocaust. Set in Denmark in 1943, an ordinary 10 year-old child, Annelise, finds her life transformed by Nazi occupation and rises to heroic heights when she helps to save the life of her Jewish friend. The spare, simple language transports elementary school readers to imagine themselves in untenable situations and to dream that they too can be heros. 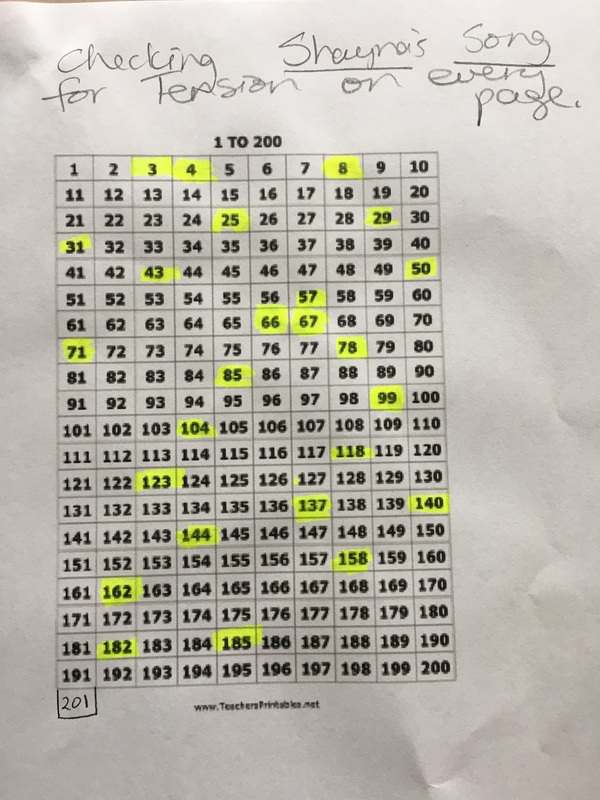 As a teacher, it was one of my all-time favorite books to use in my classroom. I watched my young, gifted students read the book and connect with history and learn about the realities and consequences of war. “Number the Starsis about the role we humans play in the lives of others,” Lois said. 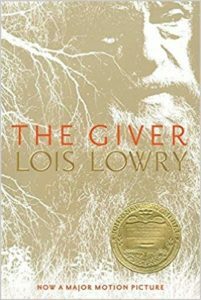 The Giver(1994) changed adult ideas about the topics that could be explored in children’s literature. The first dystopian future novel for children, it imagines the terrible underlying darkness of a seemingly perfect world in which there are no memories and emotions. Her character, Jonas, unveils the lies and manipulation, and escapes the community, while saving an “imperfect” baby. The Giverhas become a classic, selling millions of copies worldwide and placed on the required reading list of schools. It also remains high on the list of most challenged or banned books, although Lois mused, “I still wonder what they are so upset about.” She believes The Giverspeaks to readers of the fundamental interdependence of people with each other, their world and its environment. So how did a college dropout and 1950’s housewife end up being the agent of tremendous change in the publishing world? Lois was enrolled in the writing program at Brown University, but she quit, like so many other women of the era, to get married at age 19. By the time she was 26, she was the mother of four children. 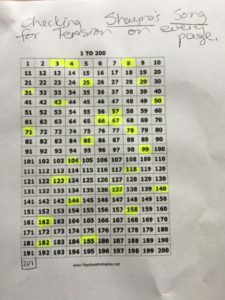 She started writing again at age 40, when her marriage ended. “I started writing for children because I needed a job,” she explained. Lois is known for writing about difficult subject matter in her work for children. Her first book, A Summer to Die(1977), was a semi-autobiographical novel about the death of a child. Her own older sister died of cancer at a young age. Many other books followed, written for children of all ages and with varying degrees of seriousness. Lois spoke about her next book, Gripped,due out in 2020. Focusing on the connections between people, the book is about how she and fellow Newbery winner Allen Say crossed paths as children in post-war Japan. Always the storyteller, Lois mesmerized the audience with her dramatic retelling of part of the book, which ended with a collective gasp from the audience. “This new book is more about human connection than any other I have ever written,” she said. At its heart, Lois Lowry’s writing is about kids making sense of a complicated world. It is what all writers of children’s books aspire to do. She is a master of creating intimacy, whether in her writing or at lunch with me and 1,184 other writers.